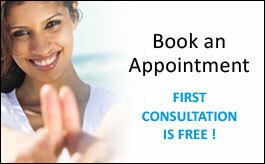 When deciding when to see an orthodontist, the answer is generally that it is best to see one as soon as is possible. Earlier treatments generally mean that a patient will have easier treatments, and less likely need for a surgery or more serious corrections later in life. For children, it is recommended that they see an orthodontic specialist no later than age 7. Most orthodontic problems are easier to correct if detected early rather than waiting until the jaw growth has slowed. For children under 7, there is a wide disparity of tooth development – it takes an expert to tell if a child may actually have an orthodontic problem or simply normal developmental variation. An early exam is also a good idea because most conditions are far easier to treat when caught at an earlier stage, when the child’s natural growth processes are in progress – an orthodontist can make good use of what the body is already doing to treat potential issues. When should adults be seen by an orthodontist? Again, the best answer is usually as soon as possible! If you tend to be embarrassed by your smile, or cover your mouth when you laugh – perhaps you have started to think about getting braces to straighten your smile? The good news is that teeth can be straightened at any age. In current surveys, 1 in 5 orthodontic patients is an adult.